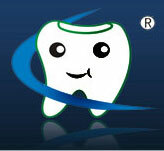 -- COCO Dental Laboratory Inc. Welcome to COCO Dental Laboratory Inc. We provide up-to-date dental information as well as a wide variety of resources to assist both our consumers and dental professionals. Tel: +86-28-8537-1919 Fax: +86-28-8537-3777 E-mail: service@cdkkck.com Copyright © 2008 COCO Dental Laboratory Inc.